Maria McGrann is a soprano from County Down. She recently completed the Recital Artist's Diploma at the Royal Irish Academy of Music, Dublin. She was awarded the Hamilton Harty performance scholarship to study a Bachelor of Music at Queen’s University of Belfast, 2008. Maria proceeded to undertake a Masters in Music at Queen's in 2011-12. Most recently, Maria was a Young Associated Artist of the Boyne Music Festival held in Drogheda, July 2014. In the RIAM's production of 'Mozart Opera Briefs', Maria performed the role of the Queen of the Night in Die Zauberflöte. 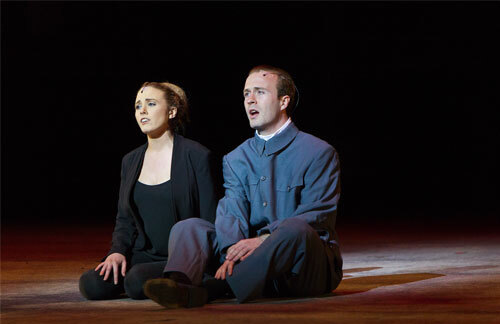 She also sang Donna Anna in Don Giovanni, directed by Caitriona McLaughlin, May 2014, Dublin. She sang in the chorus of Carmen, which was performed with the RTE Concert Orchestra at the National Concert Hall, Dublin. In May 2014 Maria performed a learning cover role of Madame Mao in the Wide Open Opera production of John Adams’ Nixon in China. Directed by Michael Cavanagh and performed in the Bord Gais, Dublin, Maria also sang in the chorus of this production. In February 2014 she appeared in the NI Opera production of Verdi’s Macbeth. She also sang in their chamber chorus of Donizetti’s L’elisir d’amore, (September 2013) both directed by Oliver Mears. 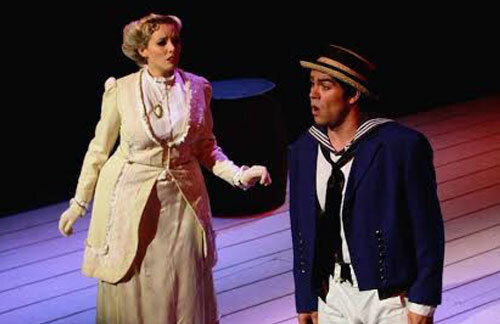 In August 2013 Maria sang the leading lady role of ‘Josephine’ in Gilbert and Sullivan’s HMS Pinafore with Lyric Opera. This was performed at the annual Gilbert & Sullivan Festival in Buxton, directed by Vivian Coates. She also performed the role of ‘Cunegonde,’ in Bernstein’s Candide, which was an excerpted version by Opera in the Open, in Dublin, 2013. In her final undergraduate year at Queen’s University Belfast in 2011, in the QUB production, Maria sang the title role of Handel’s Alcina. Maria enjoys competing in singing festivals throughout Ireland with successes in Belfast, Ballymena, Sligo and the Dublin Feis Ceoil. She has been awarded first place in competitions including the Female Vocal Repertoire , (Ballymena 2009) and Dramatic Cup (Sligo Feis 2013), and was a finalist in both the John McCormack bursary competition (Dublin Feis Ceoil 2012) and the Flax Trust Bursary (Belfast 2012). Maria is delighted to be accepted on to the Northern Ireland Opera Young Artist Programme 2014-15. This is an opportunity in which she will avail of coaching from highly esteemed opera vocal coaches and will perform in concerts with her fellow young artists throughout Northern Ireland.